The Rebel Sweetheart. : Foodie Goodie | Morning Muffins. And so today, I'll be sharing with you this muffin recipe. We call this 'Morning Muffins' since we almost always have muffins (or bread, for that matter) for breakfast. *To make sour milk, add a tablespoon of vinegar to a one cup measure and fill to the top with milk. Let stand for 5 minutes. **To make oat flour, puree instant oatmeal in the blender until a fine dry powder is formed. 1. Preheat oven to 350 degrees F and grease 12 muffin cups. 2. Combine sour milk, butter, vanilla extract, egg and brown sugar and blend well. 3. Stir together oat flour, wheat flour, baking soda and cinnamon. 4. Add flour mixture to wet mixture and blend well. 5. Fold in oats, and almonds. 6. Fill muffin tins. These do not rise very high, so a full muffin cup is fine. 7. Bake for 20 minutes or until a toothpick inserted in the center of a muffin comes out clean. I eat wheat pandesal or wheat loaf during breakfast. I seldom make pancake but your recipe is tempting. I want to try this one. Yum! My daughter would love this recipe because it is healthy. I'm pinning to share with her! She made us awesome banana nut muffins last week. I like a nice fresh toasted muffin.. Looks like a nice easy recipe to follow. Yummy, these look good. I might have to try these. These look and sound delicious. I will have to try making these because my kids love muffins. Thanks for sharing. These muffins sound very tasty. I am not much of a baker but I might try to make these. Looks really yummy--we love muffins for breakfast too---I like the oat flower tip! I love baking, so this will definitely be bookmarked! These really look irresistible! Yum! They came out perfect as it seems! It looks yum! thank you for sharing. I need another variant of muffins for school snacks so these come perfect. I love baked foods. 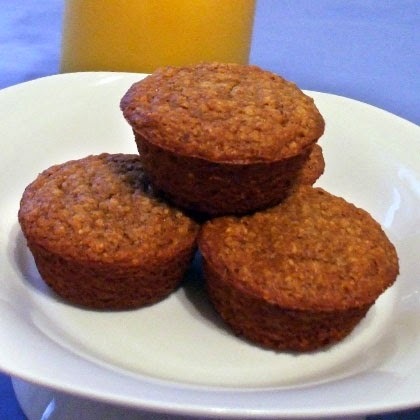 Morning Muffins looks so yummy & sounds healthy! Thanks for the Recipe. I am definitely going to try this. If I had an oven I would be baking this right now! I wonder if you can use buttermilk instead of sour milk for this recipe?